For four days our journey along the Trans-Canada Highway from Calgary to Toronto took us through the heart of the prairies. Our RV rolled along miles of long straight roads, passing fields of vivid yellow canola, nodding oil wells and mile-long trains. All accompanied by those huge, wide open prairie skies. But as we crossed the border into Ontario it all changed. We swapped straight roads for curves, flat land for hills, and wheat fields for forests. But most of all we’d entered the land of the lakes. When you look at a map of Ontario from above it’s speckled with patches of blue. 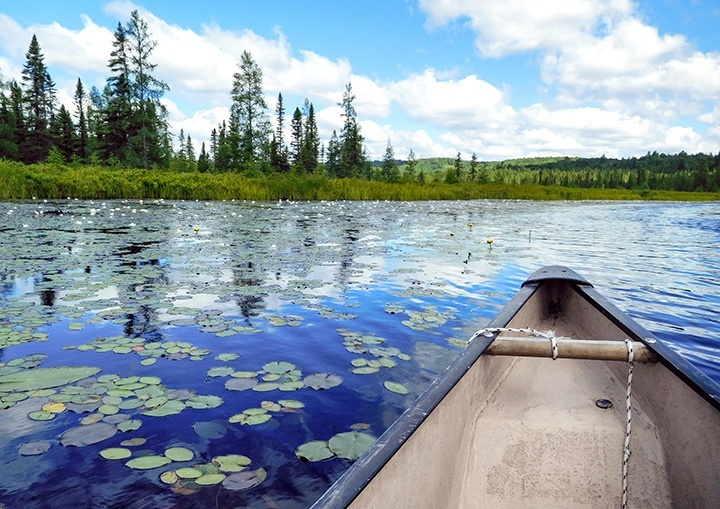 The province has an enormous 250,000 lakes – from tiny pools to sea-sized expanses. Along the next ten days we hopped from lake to lake on our journey towards Toronto, stopping off to explore a just a few of them in Ontario’s Provincial Parks. Ontario has 330 Provincial Parks – if you added them together they’d make up 7% of the whole province. Each of the landscapes are different and they’ve each been chosen for different reasons. Some are special habitats for plants or animals, some have cultural significance and others were picked as recreation spots or wilderness escapes. But what they all have in common is that they make some of Ontario’s most beautiful areas accessible to everyone. I’m not exactly naturally outdoorsy, so spending 10 days out of ‘civilisation’ was a bit out of my comfort zone. But it turned out to be my favourite part of our trip. Living right in among nature was just magical. Yes everything I owned ended up smelling of smoke and I had a very impressive array of mosquito bites. But it was so worth it for lakeside sunrises, forest walks, canoe trips, wildlife spotting and nights around the campfire. Here’s where our Provincial Park journey took us. You might have only heard of one waterfall in Ontario, but west of Thunder Bay is Kakabeka Falls – the ‘Niagara of the North’. It’s 40 metres tall versus Niagara’s 50. But what you lose in height you also lose in crowds and tacky tourist shops. After a 195 mile drive we were itching to stretch our legs, so as soon as we parked up the RV we headed straight to the falls. There’s a boardwalk path on both sides of them and a bridge over the top, so you can see them from every angle. As the sunlight caught the spray it looked like the water was flowing through a rainbow. 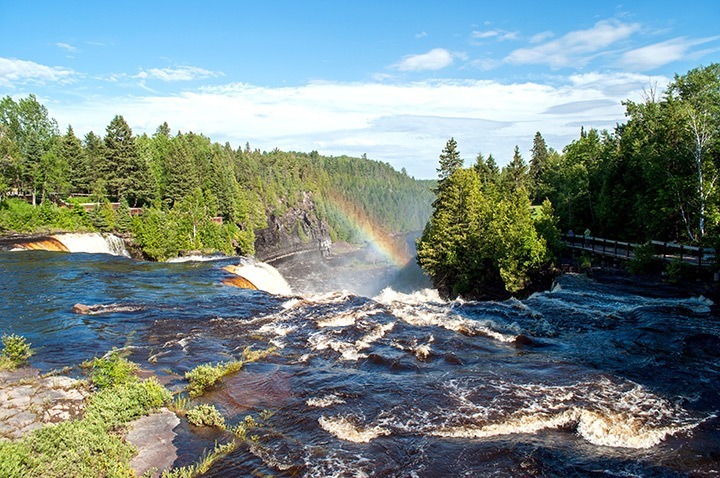 If you look deep into the canyon the Kaministiquia River has cut into the rocks and uncovered some of the world’s oldest fossils dating back over 1.6 million years. 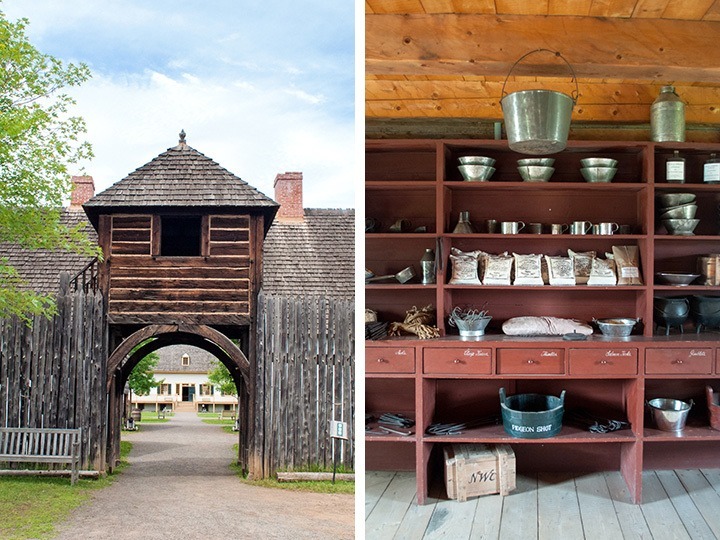 We temporarily swapped our journey across Canada for a journey back in time to find out a bit more about the area’s history at Fort William Historical Park. The park recreates a fur trading post from 1815, when a whole town grew up around the site where traders would come to sell beaver pelts. 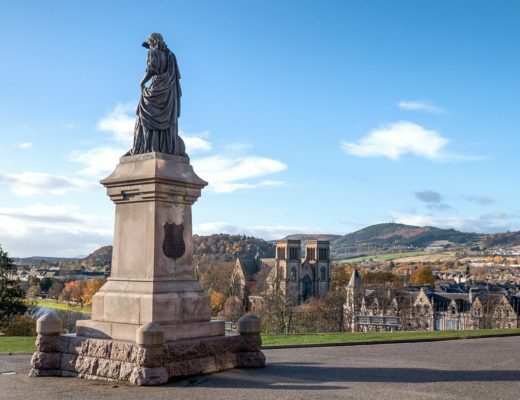 There are 46 different buildings you can wander around, from the chemists and school to the governor’s house. It’s a ‘living history’ museum so there’s no tours, instead each guide is a different character. So we learnt out about trading routes from a Cree elder, found out what the governor ate at his banquets from his butler and chatted to the doctor about their slightly gory medical procedures. It definitely brought history to life. Our next journey took us 350 miles, hugging the shore of Lake Superior almost all the way. 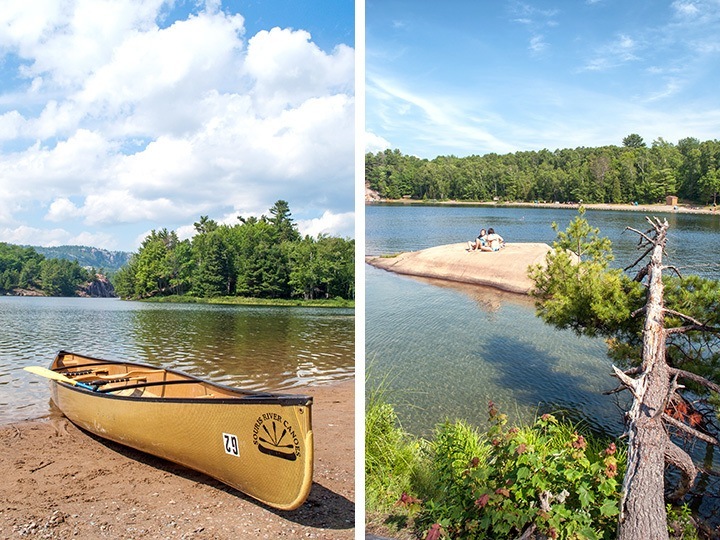 Superior takes lakes to the extreme – even the name says so. It’s the world’s largest freshwater lake and the same size as Austria. The northern shore belongs to Ontario, but the south is part of the USA. It’s up to 406 metres deep and so big it has its own tidal system. 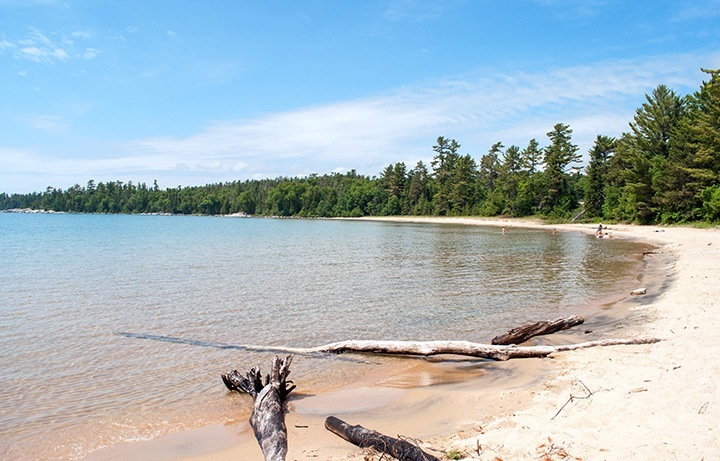 Our destination was Lake Superior Provincial Park which covers 60 miles of lakeshore. We were staying at the Agawa Bay campground right on the water, surrounded by towering pine trees that made our RV look tiny. The sandy beaches and endless expanse of water felt like we’d been transported to the ocean and we couldn’t resist dashing in for a (quick and chilly) dip. But Lake Superior isn’t all about the lake, this section of lakeshore was also chosen as a park because of its cultural importance. 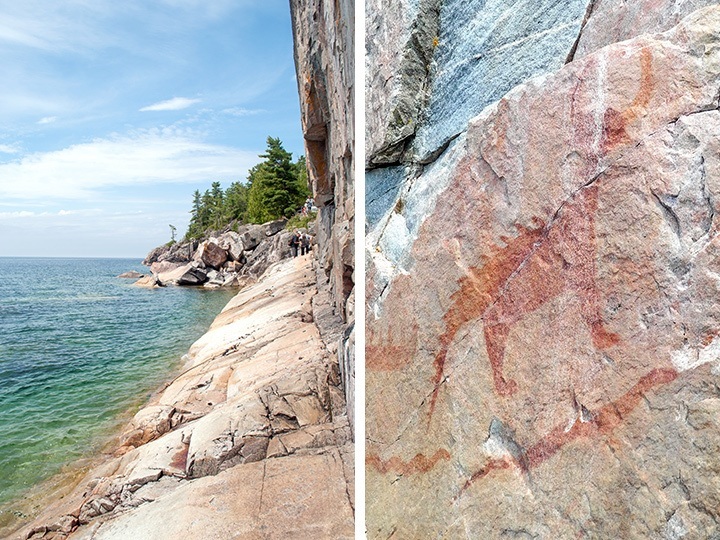 It’s home to Canada’s best-preserved rock paintings – the Agawa Rock Pictographs. They were painted by the Ojibwe people to record their dreams and stories. But reaching the pictographs is a bit of an adventure in itself. A sign at the start of the trail pointed us in the direction of a strange creature. This is the Misshepezhieu, a mythological spiny animal with horns that’s pictured along with red people, snakes and other creatures. The paintings are right on the rock face so you have to clamber along a ledge above the lake to get there and on rough days the site’s closed so you don’t get washed away! Apparently the Trans-Canada Highway along Lake Superior to Sault Ste Marie is its most scenic section. But despite blue skies, a cushion of fog sat over the lake so every time we dipped down to the shore we were swallowed up. We shook off the clouds over the next 350 miles though as we swapped Lake Superior for its smaller neighbour Lake Huron on our way to Killarney Provincial Park. This area was made famous by a group of 1920s Canadian landscape painters known as the Group of Seven. They fell in love with its colours – green lakes, pink granite rocks, white mountains. When one of the artists, AY Jackson, heard the area was going to be logged, he petitioned the Ontario government and got them to make it a park. 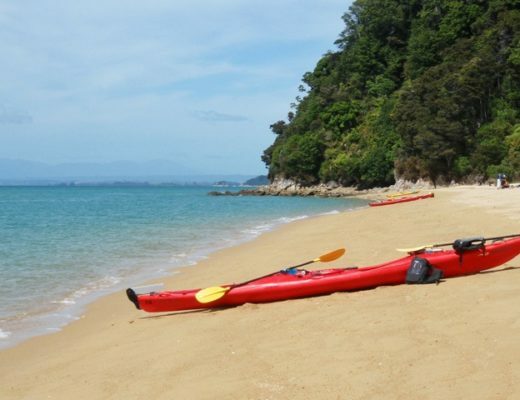 The is one of the ‘wilderness’ category parks so there’s just one campsite and you can only get to the rest of the park by canoe or on foot. 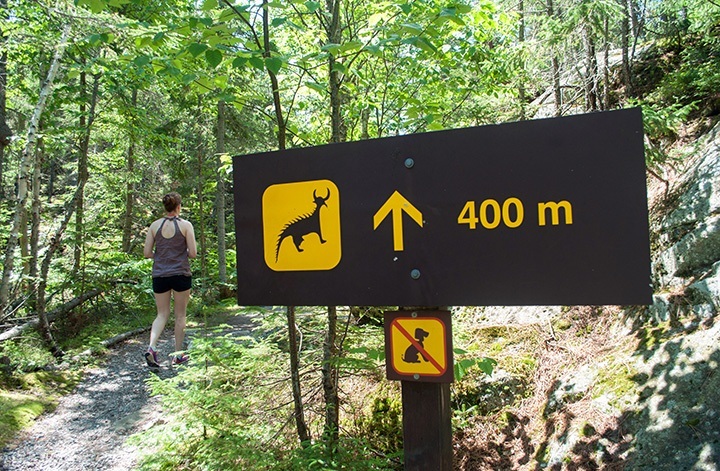 The park’s best-known walk is the La Cloche Silhouette Trail into the mountains, but at 48 miles long we couldn’t fit that into an afternoon. So instead we took the 2.5-mile Cranberry Bog Trail and didn’t see another person as we walked through marshland buzzing with dragonflies. We also took to the water on George Lake on a guided canoe trip with Killarney Outfitters. Killarney is one of the few parks with a town nearby, so after a week of cooking for ourselves a meal out was calling. 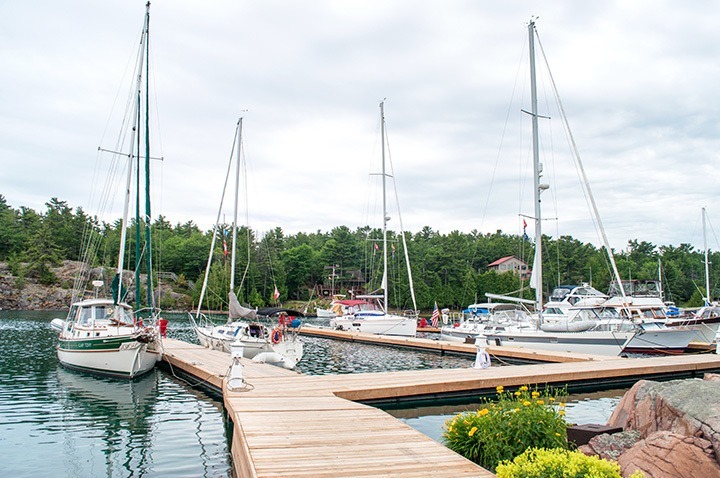 The town started as a 1820s trading post and is a pretty place with pastel wooden buildings along the harbour. 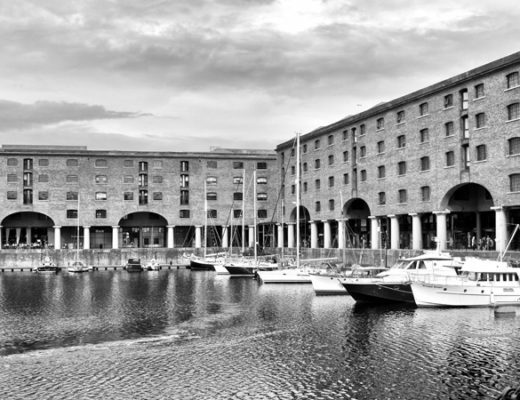 We made a beeline for Herbert Fisheries and tucked into crispy fish and chips among the boats. For our final park stop we left the Great Lakes behind and headed 210 miles inland to Algonquin – Ontario’s oldest and largest Provincial Park. We were only a few hours away from Toronto at this point so the park was the busiest yet, with lots of visitors up for the weekend. There’s road through the middle which connects the park’s 12 campsites as well as a Visitor’s Centre, Logging Museum and Art Centre. But that doesn’t mean you can’t get away from everything. The park covers 2950 square miles with a mix of maple-covered hills, rocky ridges and 1500 lakes. 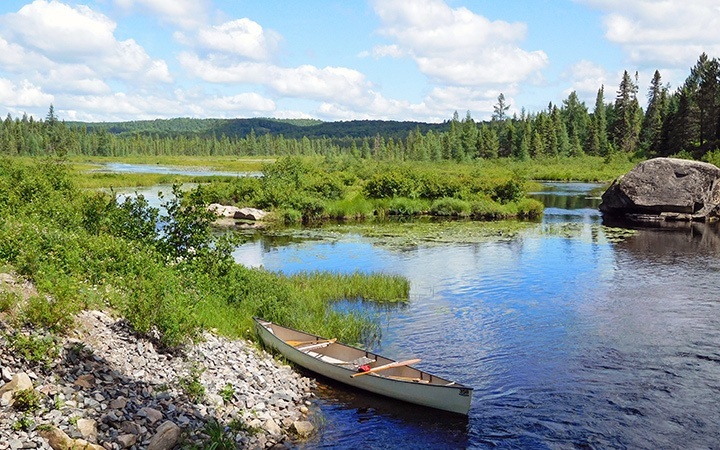 Our canoe guide from Algonquin Outfitters told us how he’d spent seven weeks canoeing and camping in the park and sometimes went weeks without seeing a single person. Algonquin has 1200 miles of canoe routes so we had to try them out for ourselves at Costello Creek. The creek was incredibly peaceful with just the splash of paddles hitting the water as we navigated through mats of lily pads. Every rustle in the banks had us holding our breath in case we spotted a bear, beaver or moose. But wildlife never turns up when you want it to, and instead I spotted my first Canadian moose from the RV window on the drive back to our campsite at Rock Lake. 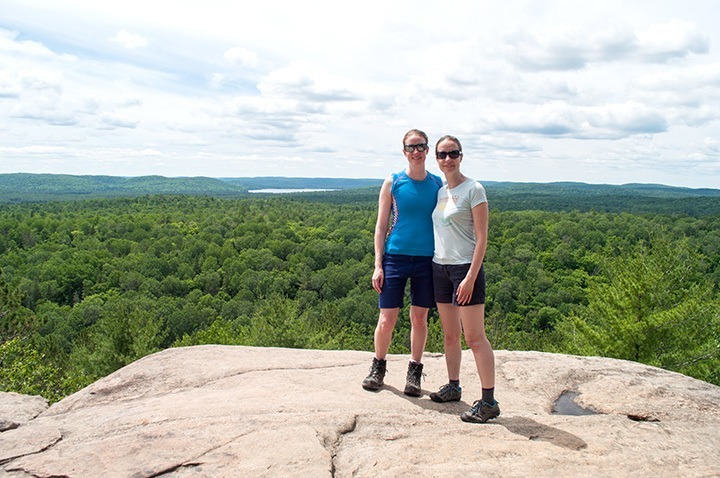 Algonquin has so much to do you could easily spent a week there – we walked the Lookout Trail with amazing views out over the treetops, but there are lots more hiking routes as well as mountain biking and trout fishing. But the road was calling and it was time to swap Provincial Parks for Toronto city streets and pass on our RV for the next leg to Montreal. Which Provincial Park would you most like to visit? 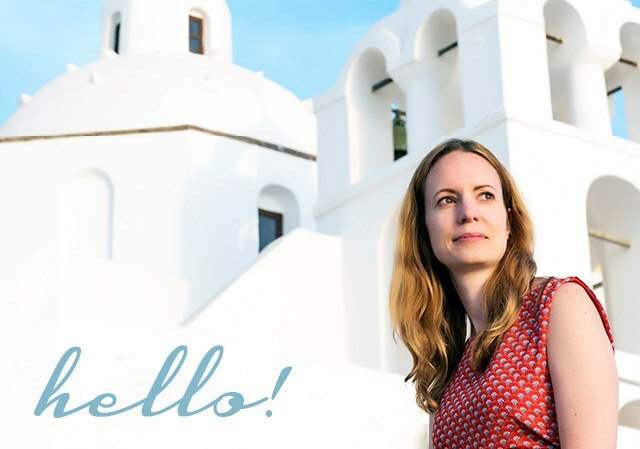 I visited Ontario as a guest of Destination Canada as part of a Travelator Media campaign. We were alongside the train route quite often and I’d love to do that trip too, but it was lovely to be able to stop and get out and explore things along the way. Sounds superb! The kind of experience that makes you feel uneasy when you return to the city streets – it just feels wrong to be surrounded by concert (or is that just me!). I really hope I get to revisit another part of Canada one day (I’ve only been to BC so far). 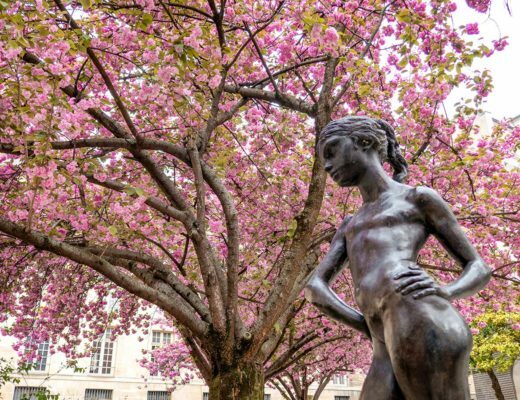 I’d dearly love to experience some of these wonderful parks. I know what you mean – it was so strange to have so many people and so much noise! The Canada wishlist seems to get longer the more I see, would love to do the other parts of BC you saw as well as Quebec and the Rockies. I’ve just spent 5 minutes trying to figure out which one of these Provincial Parks appeals to me most, and…..nope, I just can’t decide! 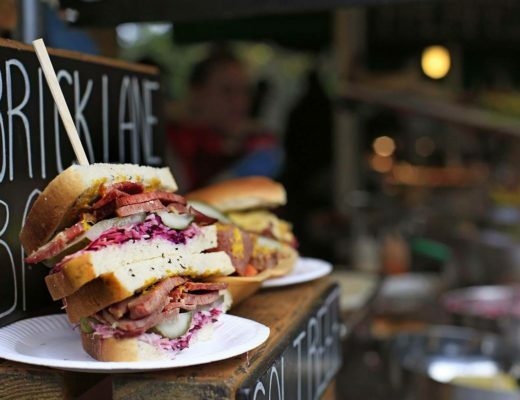 You’ve captured the different flavours beautifully and they all sound so appealing. I’m with Kathryn, I simply MUST get further east than Alberta one day. It is a bit of a challenge! We enjoyed them all but there’s so much more I’d like to see in Canada – we might have done the middle but there’s plenty in the east and the west still to go. I can’t decide which I’d love to visit more – they all look beautiful and I’m in my element when I’m outdoors so I’d be happy with any of them. Thank goodness AY Jackson stuck his oar in! I’ve definitely got the outdoors bug now – I think it’s the concept of being in a tent that’s put me off in the past but the RV life was far more civilised! What an adventure! Thanks for sharing! Beautiful! I have travelled through Canada last summer but didn’t had the time to explore a lot of Ontario. I wish I did though. Hopefully in the future. There’s so much to see in Canada, hopefully you’ll get to see more of Ontario next time! Beautiful photos! Your post have a return trip to Canada climbing higher and higher on my list! I’ve really enjoyed posting about the trip – though it has made me want to get back to Canada again too! Looks amazing! Wow! You make it look and sound a real must-do! It was such a great experience, definitely recommended! 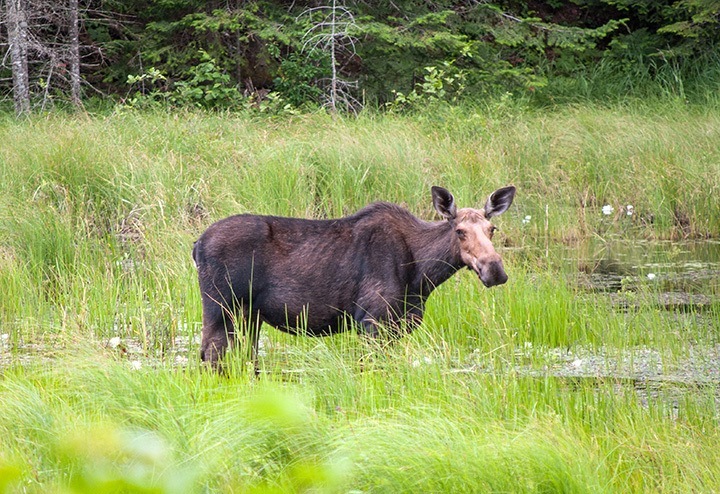 We didn’t manage a beaver unfortunately but I was so pleased to finally meet a moose! You have showcased the area so well Lucy – just makes me want to return to Canada again and see more of this truly incredible country! 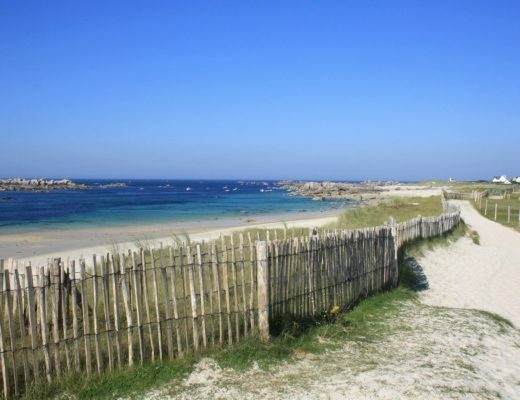 Thanks Zoe, I’ve so enjoyed reliving the trip – and so want to go back and do everyone else’s sections of the route now! Love this post! We have spent time in Lake Superior Provincial Park on two separate occasions & I would go back in a heartbeat. Stunningly beautiful & I love the lack of people. It’s like your own private beach vacation with cold water 🙂 This makes me want to check out the others as well. Thanks for bringing back fond memories of time spent along of the shores of Lake Superior.